Held every year in Munich, Bavaria, Germany, Oktoberfest is the largest beer festival and travelling fair in the world. It’s a treasured part of Bavarian culture and has been celebrated in Munich annually since the Middle Ages. That’s a serious commitment to good times! 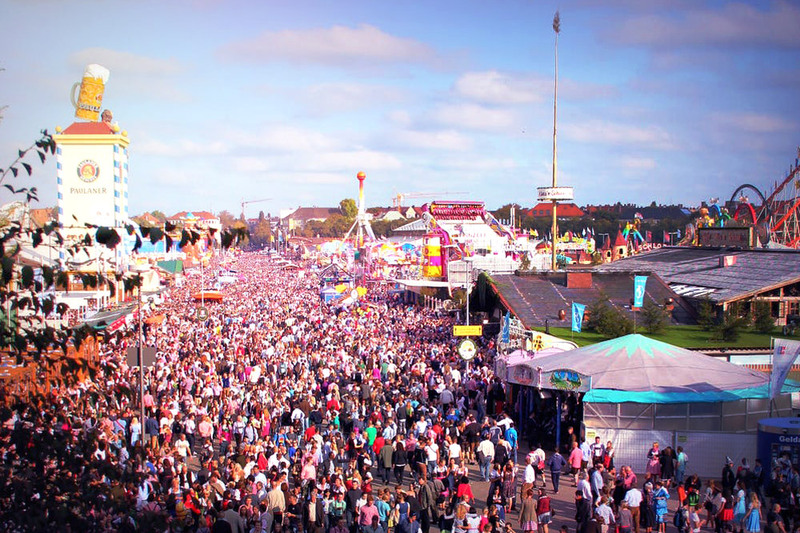 With seventeen days, roughly five million visitors and an estimated seven million liters of beer consumed, this is the mother of all Oktoberfest events. More than 700,000 people converge on Santa Catarina Island to toast Bavarian culture and celebrate their German ancestry. Over half a million revelers make this America’s largest Oktoberfest, which sets itself apart with tons of activities, including appearances by event mascot, Fritz the Dachshund. Shanghai, ChinaWith a huge assortment of Asian and German fare and a special ladies’ night, the premiere Oktoberfest in China brings its own cultural flair to the event. Have a good day: An schenan Dog no. I’d like roast pork and two dumplings (fun fact: this is the Bavarian national meal): I hätt‘ gern an Schweinsbratn und zwoa Gnedl. Do you have any special Oktoberfest traditions? Tell us in the comments!